In the early seventies a group of young boys got together in Tanga a town in the north eastern side of Tanzania and formed a band calling themselves the Love Bugs. This group began performing mostly cover songs. The Band later changed its name to The Revolutions and then moved to Dar Es Salaam the business capital of Tanzania where there was stiff competition with older established bands. 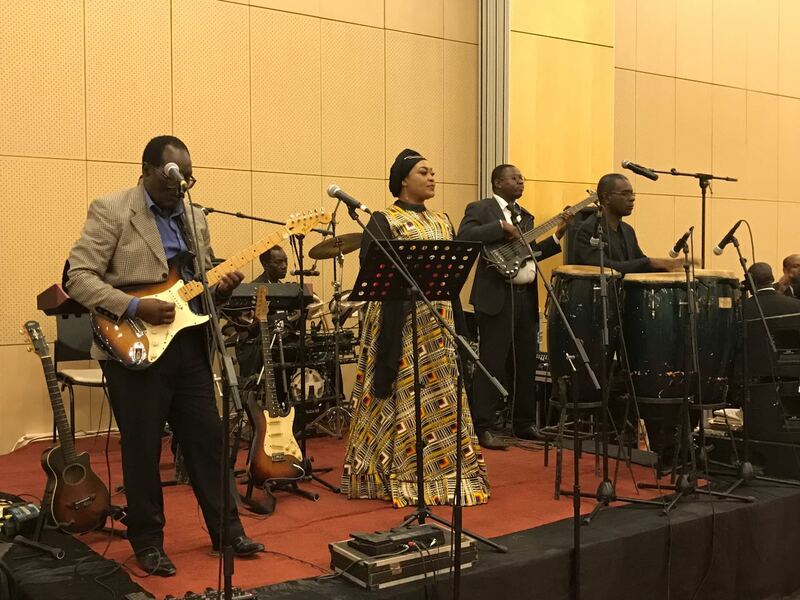 The Band began to perform in top hotels and tourist centers in the two main cities of Tanzania, Arusha and Dar es Salaam. In 1989 the Band landed in London, and there also changed its name to the present name The Kilimanjaro Band. During that stay in London the Band released its first album ‘Kata kata”. A song from this album ‘Njenje’ has since earned the Band the nickname ‘Wananjenje’. In London The Band performed on the same bill with great African artists like Baaba Maal and Sam Mangwana. 1992 saw them in Japan, this time the group was in that country for two years performing in top hotels and also having to compete with top discotheques of the time. Due to the terms of the contracts, the Band performed mostly cover songs. But the Band was good enough to slowly start including its own repertoire between the cover songs, and this brought invitations for the Band to perform in top venues including the Gunma Park where the Band played strictly African repertoire. The Band’s original six-month contract was again and again renewed. In 1997 The Kilimanjaro Band released their second album ‘Maua’. With the female voice of Nyota Waziri now adding to the flavor to the album, the album went on selling well despite of rampant piracy that is affecting the music in Tanzania. Between then and 1999, the Band spent sometime performing in Tanzania, Muscat and half a year in Bahrain, performing in different hotels to a wide variety of audience. In September 2000, the Band released probably their best album ‘Kinyau nyau’. The album with seven songs has been very well received. One of the songs ‘Ujumbe’ talks about prevention of AIDS. The songs are a mixture of pieces of art with influences from different ethnic groups in Tanzania, including Ndembele a lullaby from the WaNyamwezi of Tabora, Boko a traditional song of the Wadigo from Tanga, a Kiswahili salsa song, and other songs with strong influence from music from the Tanzanian coast. The Band is well known for its Mduara (The circle) dancing style. A dancing format very common to most ethnic groups in Tanzania and most of Africa. The second part of 2004 has been mostly studio work and a UK tour. Between April and August 2004 the Band has been recording its latest album GERE. The work began in the studios owned by the Band in Dar Es Salaam Tanzania and the mixing was done in Odessa Studios in London. The Band also held a number of well-attended concerts in UK in July and August. GERE was launched in Dar Es Salaam in October 2004. 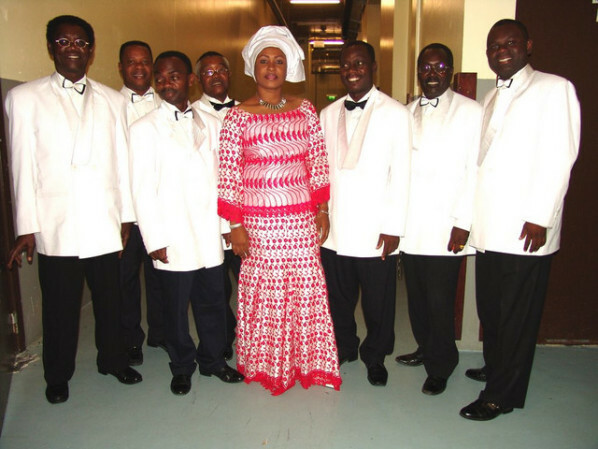 The Band started a company Njenje Productions which has allowed the musicians to pass on their talent. Keppy kiombile the bassist is also avery good sound engineer, and through the project he has taught a number of young sound engineers, and he is also one of the best known live sound engineer who is highly respected. John Kitime one of the best known copyright activisits, has held numerous number of copyright seminars and workshops. Waziri Ally a board member of BUSARA music Festival Company has been an important think tank on may music projects in the country. The Band has eight members; three of the members are from the original line up of the group thirty years ago. -Nyota Waziri (Female Vocals), Mohammed ‘Moddy’ Mrisho (guitarist/vocals), Mabrouk ‘Babu Njenje’ Hamisi (Drums/vocals), Waziri Ally (keyboards/vocals), Juma Omari (Drums/vocals), Keppy Kiombile (Bass Guitar/vocals), Abou Mwinchumu (Percussions/vocals), John Kitime (Guitar/vocals). Extras: The Band is a registered entity as per laws of the United Republic of Tanzania. The Band also own and runs two companies, Njenje Productions Company, which is a company whose main aim is upgrading the Tanzania music industry scene. And Njenje Graphix a successful graphics design company.